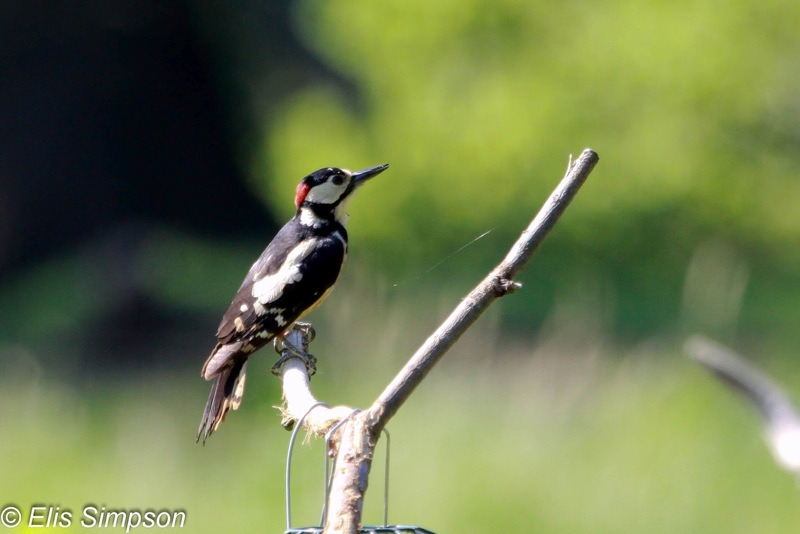 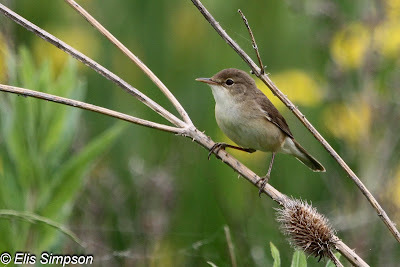 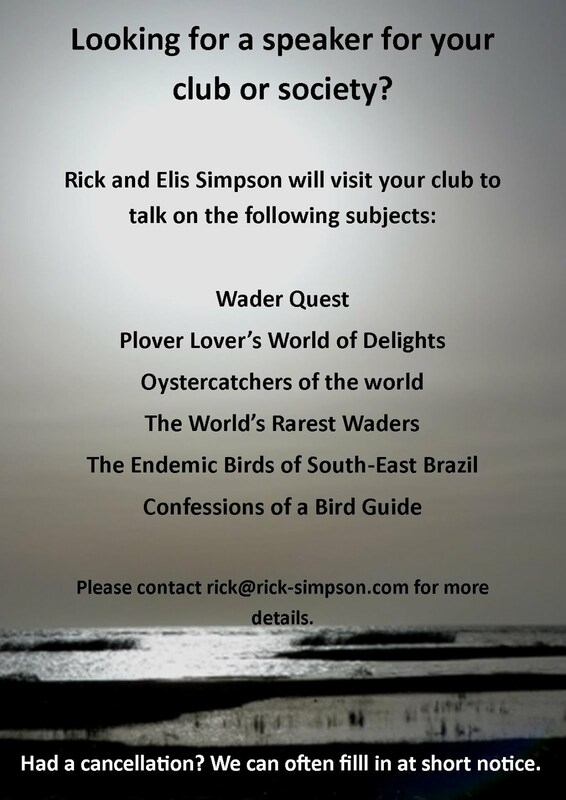 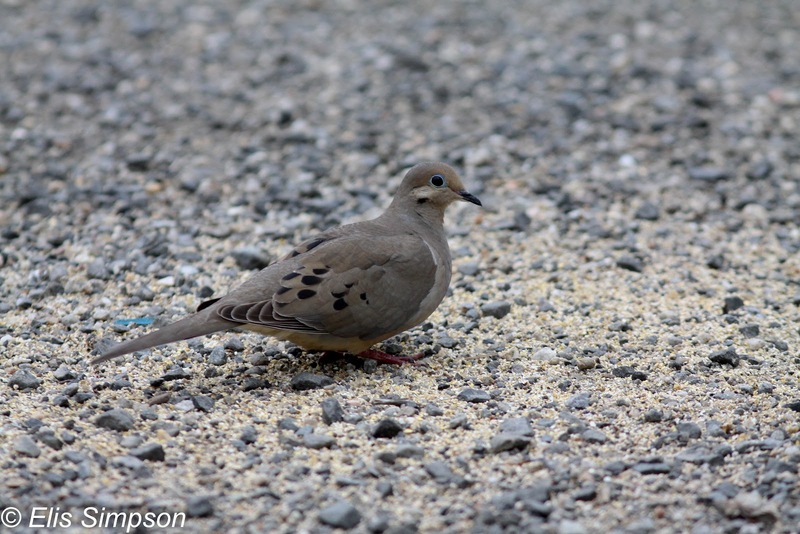 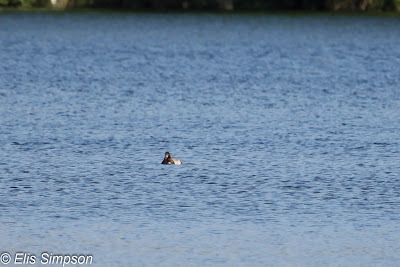 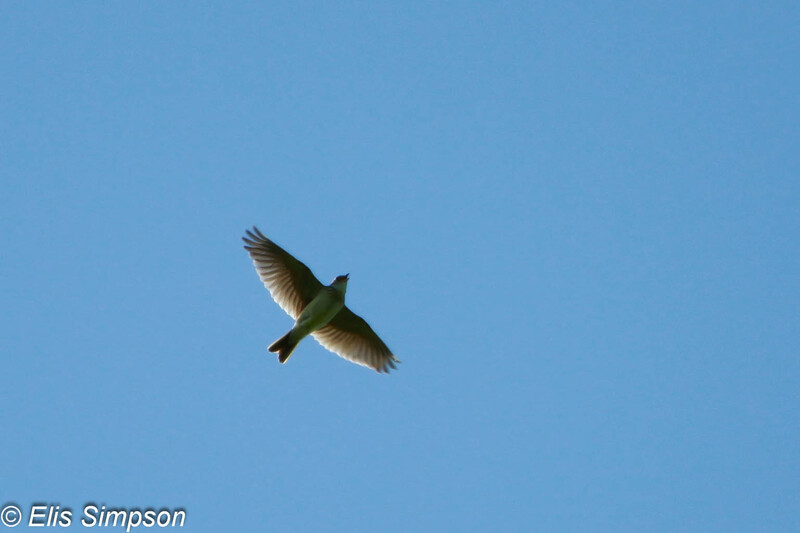 Rick Simpson Birding: Summer birds. So much happened bird-wise in the USA, and Elis took so many photos that it is proving a long business to get them all organised and blogs written. 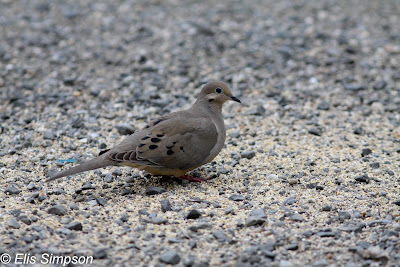 We'll be feeding stuff on these birds and places in dribs and drabs. 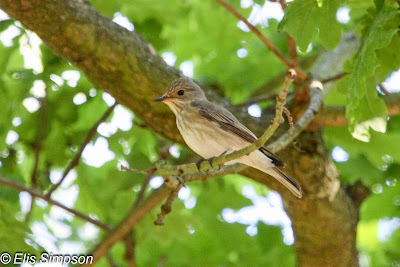 Since we got back to the UK we have not however just been stuck behind the computers but have been out and about a bit looking for, and at, summer migrants and other local breeding birds. 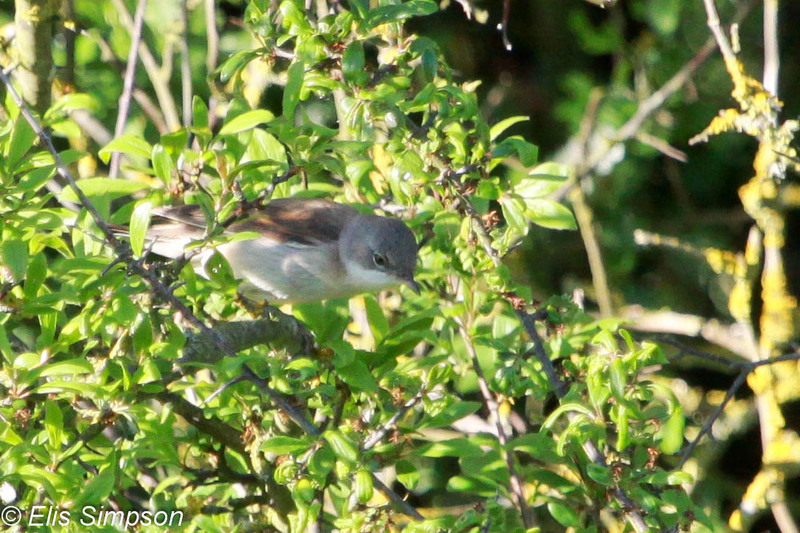 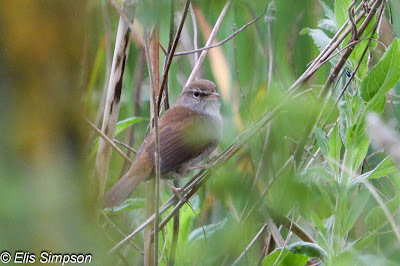 A short walk in Bury Field behind the house brought our first, if not unexpected, Common Whitethroat of the year. At Sandy RSPB reserve we found another new year species, a pair of Spotted Flycatchers in the process of building a nest. 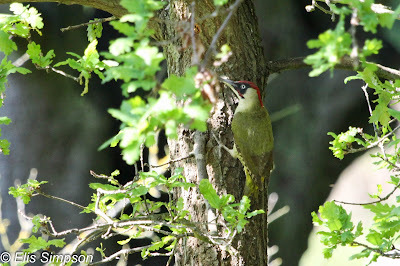 Also there we had excellent views of both Great Spotted and Green Woodpeckers. A whizz over to Calvert to see this duck, which, those who know more than I about these things, seem to think is a first winter Greater Scaup. 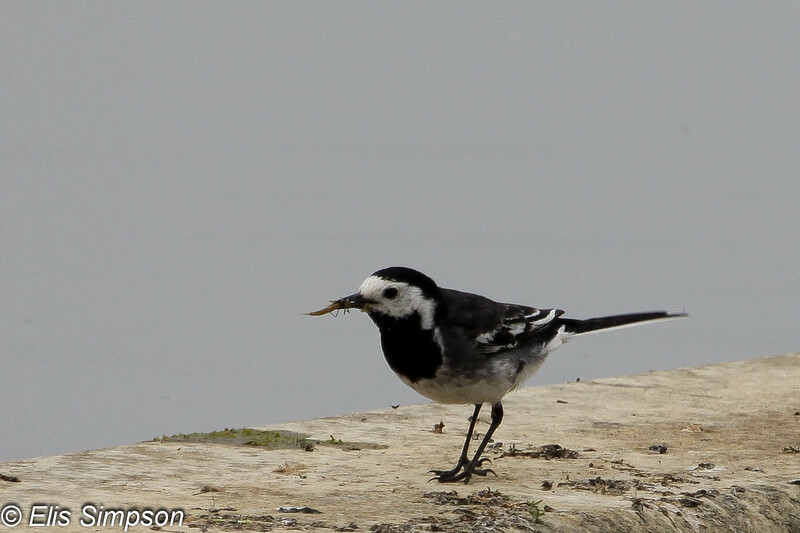 I'm prepared to take their word for it as it is a tick for Elis. 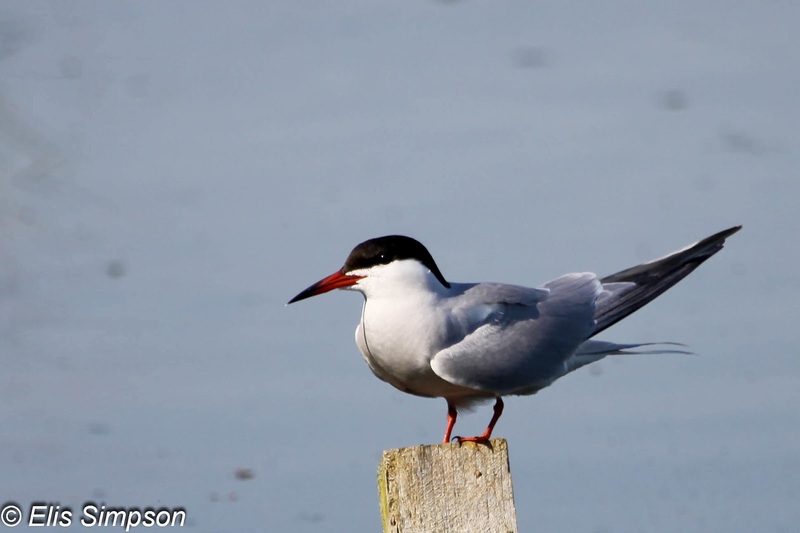 Common Tern is a regular breeding bird at Calvert. A short stop over at Willen lake on the way to town produced photographs of two skulking warblers, Reed and Cetti's whilst the Pied Wagtail collecting food for its nestlings was much more obliging.